Once again the Premier League showed why it is the most exciting league in the world with a superb weekend of action. With late goals, moments of controversy and three different league leaders in one afternoon – this was vintage stuff. More trouble for controversial manager Jose Mourinho. The excitable Portuguese was sent off for a second time in a month as his Manchester United side drew 1-1 against West Ham at Old Trafford. United are sixth but 11 points behind leaders Chelsea. His latest offence? Kicking a water bottle in reaction to referee Jon Moss showing Paul Pogba a yellow card for diving. Replays showed West Ham’s Mark Noble did not make contact with the France midfielder. Mourinho similarly found himself in the stand after Mark Clattenburg gave him his marching orders last month. West Ham took the lead early doors when Diafra Sakho headed home from Dimitri Payet’s free-kick. Zlatan Ibrahimovic nodded in from Pogba’s precision chip. Hammers former Birmingham City goalkeeper Darren Randolph kept United at bay. United had 68 per cent possession and 17 shots, but for whatever reason just aren’t finding the back of the net often enough. Chelsea won the London derby against Tottenham and are beginning to look awesome. They came from behind to inflict Spurs first Premier League defeat of the season, albeit the White Hart Lane side have drawn far too many. Smarting from their Champions League exit in midweek, Christian Eriksen’s great 11th minute strike put the visitors in front. Eriksen has been on a poor run of late and it was a timely return to form. Mauricio Pochettino’s side were completely dominant until the closing seconds of the first half when Pedro curled in a spectacular right-foot effort to draw Chelsea level. And Spurs’ record at Stamford Bridge was extended to 30 games without a win after Victor Moses scored what proved to be the winner six minutes after the restart. Wow, this was quite something and a wonderful advert for the Premier League. Liverpool lie second behind Chelsea after extending their unbeaten run in the Premier League to 11 games with a win against Sunderland. Yet, brilliant playmaker Philippe Coutinho was taken off on a stretcher at Anfield, a blow for the Reds. Coutinho’s replacement, Divock Origi, opened the scoring. And when Sadio Mane was felled in the box, James Milner converted the spot-kick to seal it. Manchester City kept up the pressure, turning over Burnley at Turf Moor. Sergio Aguero scored twice as City came back from a goal down. Dean Marney volleyed in from 25 yards for the clarets, but then it was mostly the visitors. It wasn’t a great performance from City perhaps tired after their Champions League endeavours, but it was enough. Many controversial incidents at the Emirates where Arsenal ended a run of three successive draws. However, the 3-1 win flattered the home side. 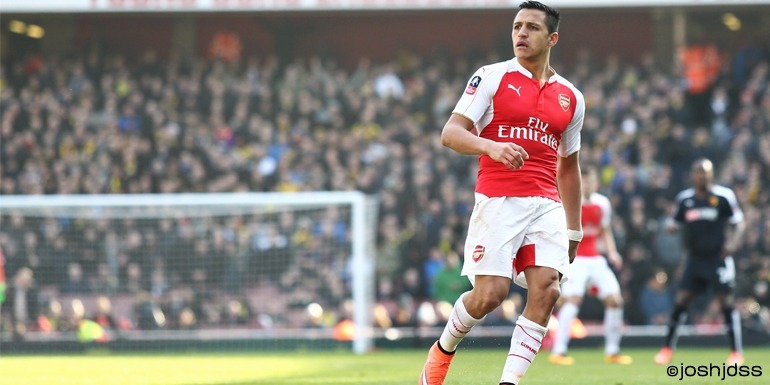 A poor Steve Cook backpass was pounced on by Alexis Sanchez who sidefooted past keeper Adam Federici. Callum Wilson equalised with a dubious penalty. Theo Walcott restored the Gunners’ lead when he headed in a Monreal cross. Finally, Sanchez made sure of the win when he converted an Olivier Giroud cross. It could have been different and Bournemouth will rue missed chances. No matter, three points to the Arsenal.